Scotchgard Paint Protector creates a chemical bond that helps protect paint surfaces from bugs, tree sap, bird droppings, etc. If you’re planning on buying another car in a few years, Scotchgard Paint Protector helps protect the paint’s finish from premature fading and weathering and can help you get top dollar for your trade-in. If you have children or pets, the Scotchgard Protection Package is indispensible. Scotchgard Fabric Protector applied to your fabric seats helps spills remain on top of the surface instead of being immediately absorbed. Coffee, catsup and sippy cup contents wipe off more easily. 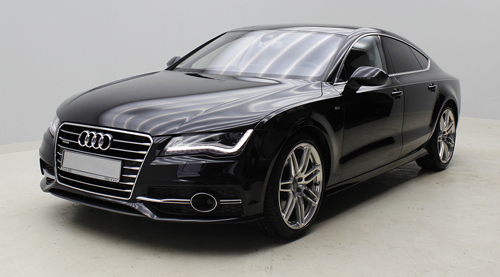 Protect your investment and enhance the appearance of your car’s interior. Scotchgard Leather and Vinyl Protector helps protect leather and vinyl surfaces against the damaging effects of ultraviolet light. In addition, our non-greasy formula produces a rich satin sheen. You’re proud of your vehicle. Now, protect it! 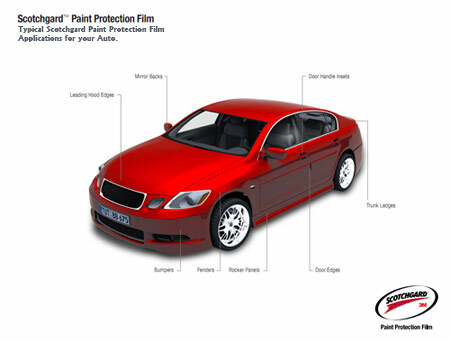 Scotchgard™ Paint Protection Film (PPF) is a durable, high-grade, colorless urethane film that is applied to the high-impact areas of your vehicle — hood, bumper, mirrors and door edges – that take the brunt of damaging road debris. This virtually invisible barrier against flying road debris, abrasion and weathering also resists yellowing in sunlight. If resale value is important to you, this is a great way to help keep your car’s exterior looking like new. PPF is trusted by NASCAR® to keep race cars looking their best. 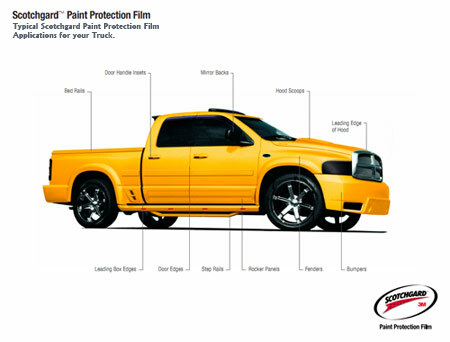 Professional applicators can help you decide what parts of your vehicle would most benefit from Scotchgard Paint Protection Film. Plus, they have the know — how to install the film to the exact specifications of your vehicle. Once the job is done, you’ll love the look, not to mention the longer life you’ve given your car’s finish. Why do I need Scotchgard™ Paint Protection Film?